An alkaline diet has many health benefits starting with your blood. Human blood pH should be slightly alkaline (7.35 - 7.45). Below or above this range means symptoms and disease. A pH of 7.0 is neutral. A pH below 7.0 is acidic. 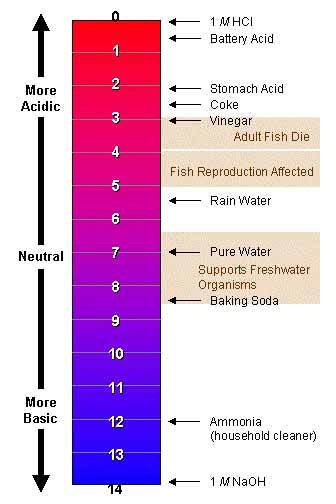 A pH above 7.0 is alkaline. An alkaline healthy diet with a predominate supply of alkalising foods is vital for maintaining a healthy pH range. An acidic pH can occur from, an acid forming diet, emotional stress, toxic overload, and/or immune reactions or any process that deprives the cells of oxygen and other nutrients. The body will try to compensate for acidic pH by using alkaline minerals. If the diet does not contain enough minerals to compensate, a build up of acids in the cells will occur. An acidic balance will...decrease the body's ability to absorb minerals and other nutrients, decrease the energy production in the cells, decrease the ability to repair damaged cells, decrease the ability to detoxify heavy metals, make tumor cells thrive, and make it more susceptible to fatigue and illness. A blood pH of 6.9, which is only slightly acidic, can induce coma and death. The reason acidosis is more common in our society is mostly due to the typical Western style diet, which is far too high in acid producing animal products like meat, eggs and dairy, and far too low in alkaline producing foods like fresh vegetables. Additionally, we eat acid producing processed foods like white flour and sugar and drink acid producing beverages like coffee and soft drinks. We use too many drugs, which are acid forming; and we use artificial chemical sweeteners like NutraSweet, Spoonful, Sweet 'N Low, Equal, or Aspartame, which are poison and extremely acid forming. To neutralize a glass of cola with a pH of 2.5, it would take 32 glasses of alkaline water with a pH of 10. In combination with water, the body will draw calcium and magnesium from your bones to buffer an acidifying diet. On the pH Scale, pure water is pH of 7. 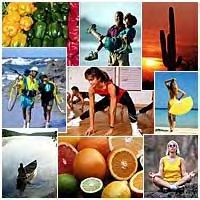 One of the best things we can do to correct an overly acidic body is to clean up the diet and lifestyle. Meditation, prayer, peace, kindness and love, are all alkalizing to the human body. As far as foods go, although it might seem that citrus fruits would have an acidifying effect on the body, the citric acid they contain actually has an alkalizing effect in the system. Note that a food's acid or alkaline forming tendency in the body has nothing to do with the actual pH of the food itself. For example, lemons are very acidic, however the end products they produce after digestion and assimilation are very alkaline so, lemons should be included in an alkaline diet. Likewise, meat will test alkaline before digestion, but it leaves a very acidic residue in the body. Therefore, like nearly all animal products, meat is very acid forming. A healthy diet should consist of 60% alkaline forming foods. To maintain health, the diet should consist of 60% alkaline and 40% acid forming foods. To restore health, the diet should consist of 80% alkaline forming foods and 20% acid forming foods. Generally, an alkaline diet will include: most fruits, green vegetables, peas, beans, lentils, spices, herbs and seasonings, and seeds and nuts. Generally, acid forming foods include: all processed foods, meat, fish, poultry, eggs, grains, and legumes. That's not to say you need to avoid all of these foods, just maintain a healthy balance. You can download this basic chart listing Acidifying and Alkalising foods for FREE.